Big blue cat eyes in grass 4K. Birman cat breed with dark head and bright color body hair enjoying time in nature. hd00:30Big blue cat eyes in grass HD. 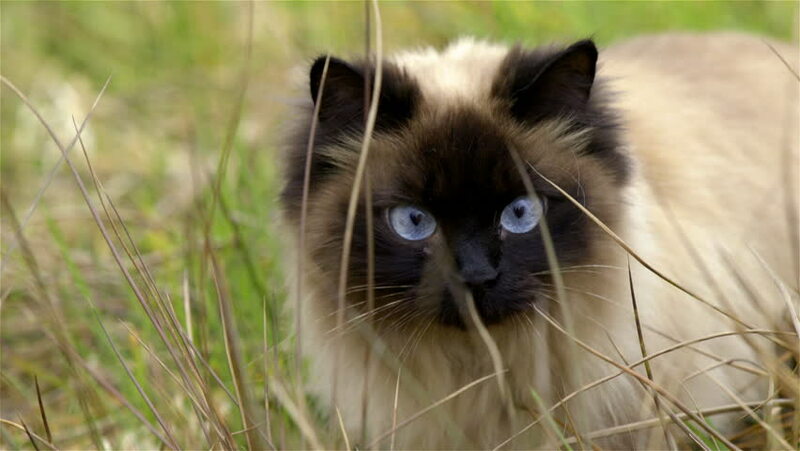 Birman cat breed with dark head and bright color body hair enjoying time in nature. 4k00:26Black cat sitting on a beech desk. Close-up. Interested gaze and desire to play.